Associate Justice Antonin Scalia was found dead of apparent natural causes Saturday on a luxury resort in West Texas, federal officials said. Scalia, 79, was a guest at the Cibolo Creek Ranch, a resort in the Big Bend region south of Marfa. Scalia arrived at the 30,000-acre ranch on Friday and attended a private party with about 40 people that night, according to a federal official. He left the party and retired to bed earlier than others, according to Donna Sellers, a spokeswoman with the U.S. Marshals Service. When he failed to appear at breakfast, a person involved with the ranch went to his room, where he discovered his body. A priest was called to administer last rites. A federal official, who asked not to be named, said there was no evidence of foul play and it appeared that Scalia died of natural causes. Chief U.S. District Judge Orlando Garcia, of the Western Judicial District of Texas, was notified about the death from the U.S. Marshals Service. U.S. District Judge Fred Biery said he was among those notified about Scalia’s death. This is a terrible, horrible moment for America. My sympathies to his wife and family, of course, right now I fear for my nation. This is the man who ought to have been Chief Justice. This was one of the few people inside the Beltway who actually understood what the Constitution was all about. IMO, he rarely got one wrong; any SCOTUS decision that came down with “Scalia, dissenting” you pretty much assumed was wrongly decided. Like Kelo v. New London for example. Can they find an honest person, a loyalist to the Constitution, to replace him with? Because just any “constitutional scholar” would give us another burrowing bilge rat like Obama, who obviously studied the system only to figure out how to subvert it. And we are that close ... one more false Constructionist justice on the bench, one more uninformed old hippie, one more racist lesbian trying to sell “social justice” as a special kind of wisdom ... and we are destroyed as a nation. So here comes the next battle. Unfortunately I fear it’s only going to be a Communists vs. Pussies battle. No real Americans are going to attend. Or be appointed. I fear for the future. 1163: On what would be February 17th by modern reckoning, King Baldwin the Third of Jerusalem- the conqueror of Ascalon- dies childless at the age of 33, among suspicions that he was poisoned by a Syrian Orthodox Christian who was acting as his doctor. A long eight day funeral procession marked by open grief caries him from the place of his death at Beirut to his kingdom’s capitol and place of his tomb at Jerusalem. He started off his reign on a very unpromising start, which among other things featured a civil war against his own mother and going up against none other than Nur-ad-Din, Salah-al-Din (Saladin)’s mentor, including a failure to take Damascus. But that soon changed. He forged an alliance with the Eastern Romans and fought Nur-ad-Din to a standstill, but his real victories were in the South against the Fatmid Caliphate in the South. His crowning achievement by far was the siege of the city of Ascalon in 1153. 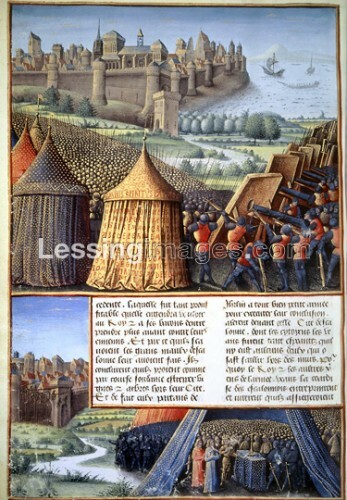 Conventional wisdom of the time in siege warfare was that you needed to block absolutely all routes of supply for the area under siege, have superior numbers to the defenders, and only conduct an assault if you had overwhelming odds. Baldwin had exactly none of these advantages, but managed to siege and storm one of the most fortified cities in the world while outnumbered. It turned Ascalon into a bulwark of the Christian states in the Levant while serving as a springboard for attacks into Egypt, and the seal of doom for the Fatmid Caliphs and seemed to foreshadow great things. But within a decade of that triumph, he was dead at a young age (even for then) and control of the Kingdom of Jerusalem passed to his brother, who spent his reign raiding futilely into Egypt, using manpower that the Crusaders simply did not have. Then he died and bequeathed the crown to his only son, the heroic Leper-King Baldwin the Fourth, who saved Jerusalem from Saladin but could not save his dynasty from lack of heirs. After his death the Kingdom fell victim to ugly infighting and worse leadership, which led to shattering defeat at Hattin to Saladin’s Jihadis. Saladin went on to reconquer and destroy the entire city of Ascalon to prevent it from being a Crusader defensive position, and within three decades of Baldwin III’s funeral the Crusaders were dependent on foreign leaders- most famously the kings of England and France- to avoid destruction. And which slowly led to a death spiral for the Crusader Kingdoms of the Orient, and ultimately Christianity in much of the Levant. I am inclined to believe him. And so this post is dedicated to you, King Baldwin. Rest with God. 1258: Also February 17th according to the Gregorian Calendar, winner of the vaunted “Worst Day in Baghdad’s History” contest. A Mongol/Persian Army with some Christian Vassals wraps up the siege of Baghdad and begins the neigh-complete-after battle destruction of the city that we refer to as the “Sack.” Having screwed the pooch in not actually preparing all that well for a Mongol re-invasion and arrogantly believing the city would not fall when faced by the largest Mongol army to ever be assembled, the Abbasid Caliph brushed off Hulagu Khan’s ultimatums only for the city to surrender twelve days later. Unfortunately for every living thing in the city, they forgot the Mongol policy towards cities that had shown resistance, even if it was astonishingly brief. The sack of the city went on for a full week after and was carried out with the twin Mongol trademarks of brilliant efficiency and absolute brutality. The Euphrates and especially the Tigris are said to have run black and red with blood and ink from tens of thousands of books and bodies that fell in, a fate that was probably shared by the old irrigation systems on the outskirts. Those of the city dwellers that tried to escape the city perimeter were vulnerable from being run down by the world-beating Mongol Cavalry that had circled the city on horseback. By the time it was over, the Abbasid family and several of the key historical landmarks from antiquity to the medieval era were irreparably destroyed, exactly as Hulagu intended. Most of a millenia later, and the city has still not fully recovered. Our historical knowledge of the past never will, though fortunately neither will the Abbasid Caliphate for what little that is worth. The only question is just how much was lost. But if you want a good explanation for why the Middle East is the festering mess it is, this is a pretty good one. And I don’t mean merely the utter destruction that the Mongols visited on it, which is what everybody focuses on. But also the kind of monumental screwups and leadership failures that led to it being laid open for it. 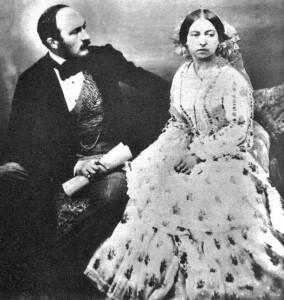 1840: Queen Victoria takes Prince Albert of Saxe-Coburg and Gotha as her husband in a marriage conducted at St. James’ Palace, and then spends most of the evening lying in bed with a headache (not exactly the reason you’d expect for a newlywed to spend hours there, much less Queen Vicky...). It places the seal on one of the great royal love stories of history, and her husband’s line provides the roots of the current British and Commonwealth royal dynasty; the House of Windsor. 1906: Two harbingers of a terrifying new era enter the world. 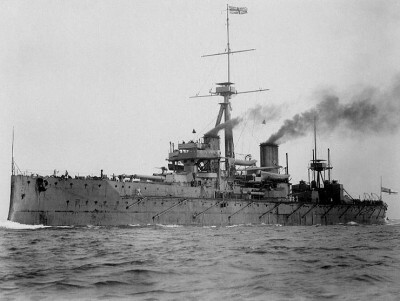 On one hand, the HMS Dreadnought was launched by those enterprising British from Portsmouth Harbor. Built in less than half a year, she was the premier ship of the Dreadnought Class battleship. It stands overwhelmingly as the first modern battleship in history, instantly obsoleting everything that came before it and launching a new frontier in science, superpower conflict, and ultimately World War. 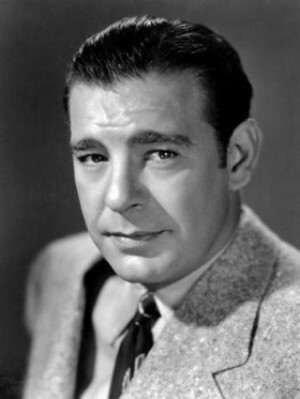 And across the Atlantic, Creighton Hull “Lon” Chaney Jr. was born. The lady had quite a background. Brits did her justice in their obit of this American and her derring do. Elizabeth McIntosh, who has died at the age of 100, conjured lies in the line of duty for the US Office of Strategic Services and as an author wrote about the women who used their brains, and sometimes their bodies, to help the spy agency in the Second World War. She joined in 1943 and completed field-agent training in interrogation techniques, clandestine meetings and use of firearms. But cloak-and-dagger espionage or Mata Hari-style intrigue would not be her legacy. Instead, her fluency in Japanese and background as a reporter made her ideal for “morale operations”, also known as “black” propaganda. Stationed in New Delhi and later Kunming, China, where she befriended the future chef Julia Child, she participated in efforts to forge fake letters, documents, pamphlets and newspaper stories with realistic-seeming tales of suffering on the Japanese mainland. Such accounts – of starving youths and young women so traumatised by bombing that they were unable to bear children – reached Japanese troops by radio, airdrop, mail and other forms of subterfuge. Japanese soldiers were known to be honour-bound to fight to the death, and McIntosh played a role in falsifying instructions designed to induce them to surrender more quickly in Burma towards the end of that campaign. The forgery vastly reduced Allied casualties. On another occasion, McIntosh delivered an explosive masquerading as a lump of coal – the device was dubbed “black Joe” – to a Chinese operative of the OSS. The agent took the dynamite aboard a train ferrying Japanese soldiers and waited for the opportune moment to toss it into the engine before jumping to safety. The train blew up as it crossed a bridge. One of her final operations involved funnelling misinformation to a Chinese fortune-teller whose radio show was a favourite of Japanese soldiers. She and a colleague drummed up various scenarios: an earthquake in Japan? Too commonplace. Maybe an earthquake and a tidal wave? They settled on something vague but catastrophic – “something we can’t even mention because it is so dreadful and it is going to eradicate one whole area of Japan.” That same day, the US dropped the atomic bomb on Hiroshima, prompting a colleague to ask how she knew about the top-secret programme. After the war and in need of a job, McIntosh had a brief, miserable stint covering fashion for Glamour magazine before moving on to writing jobs for the Voice of America and the US State Department. From 1958-73 she worked for the CIA on classified operations that often used her burgeoning literary career as a cover. Under her then-married name of Elizabeth MacDonald she had written a well-received memoir, Undercover Girl (1947), which featured an introduction by OSS founder William “Wild Bill” Donovan. In the foreword, he called her “a very effective agent. "As Elizabeth Heppner, a later married name, she wrote two children’s books in the late 1950s. Her best-known book remains Sisterhood of Spies: The Women of the OSS (1998), which sketched the careers of many of the roughly 4,000 women who served the agency. Some were code clerks, analysts or secretaries in Washington. Others volunteered for riskier assignments. Virginia Hall, a well-born, multilingual Marylander who became known to the Nazis as the Limping Lady because of her artificial leg, helped Resistance fighter. Elizabeth Peet was born in Washington, where her father was sports editor for the Washington Herald. After high school in Hawaii, she graduated in 1935 from the University of Washington. Her first marriage, to Alexander MacDonald, a journalist who served in the OSS in Thailand and later started the English-language Bangkok Post newspaper, ended in divorce. After the war she married Richard Heppner, who became deputy assistant secretary of defence for international security; he died in 1958. 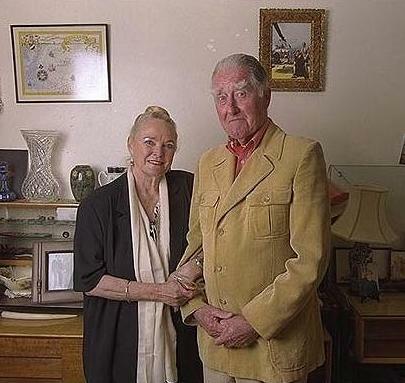 Her third husband, Frederick McIntosh, a former Air Force lieutenant colonel, died in 2004 after 42 years of marriage. As a young reporter, McIntosh covered the Pearl Harbour raid and its aftermath, but she said her editors at the Honolulu Star-Bulletin would not run her story because it was too graphic in its description of blood-soaked children and other victims. At her office, she wrote, “there were frantic calls from all sorts of women – housewives, stenographers, debutantes – wanting to know what they could do during the day, when husbands and brothers were away and there was nothing left but to listen to the radio and imagine that all hell had broken out on another part of the island. George Takei shared this on my Facebook page. A class act gone. 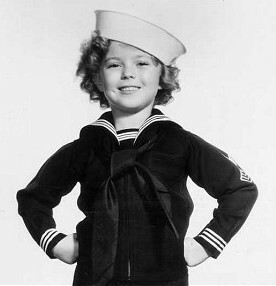 shirley temple rip. 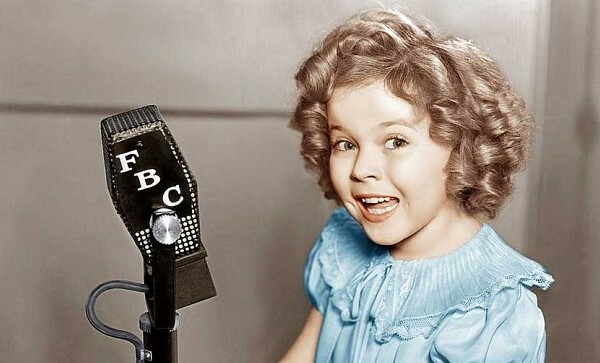 Shirley Temple, who has died aged 85, was the screen’s most popular child star of the 1930s, receiving at the age of eight 135,000 birthday gifts from fans the world over. Throughout the Depression years, her sunny disposition helped audiences forget their woes and a special Oscar was presented to her for “bringing more happiness to millions of children and millions of grown-ups than any other child of her years in the history of the world”. It might have turned many a tiny tot’s head, but Shirley had her mother constantly at her side to ensure she was kept on an even keel. She was acting in pictures from the age of four and rapidly captivated filmgoers with her blond ringlets and dimpled charm. Dolls, books and games were named after her in a merchandising campaign matched only by Walt Disney and Mickey Mouse. Yet her talent was modest. She sang off-key and cynics dismissed her dancing as “mere jigging up and down”. She liked to do impersonations but her acting was generally regarded as cute rather than compelling. She had the child star’s built-in self-destruct mechanism — what had seemed peachy in a moppet became arch in adolescence. Attempts to extend her career into young womanhood were unsuccessful and she made her last film in 1949 — washed up in Hollywood at 21. Yet that was not the end of the Shirley Temple story. Against all sceptics’ expectations, the little girl who had never had a normal childhood matured into a distinguished politician and diplomat. She stood (unsuccessfully) for Congress before representing America at the United Nations and serving as US ambassador to Ghana and Czechoslovakia under her married name of Shirley Temple Black. She was born on April 23 1928 in Santa Monica, California, the daughter of a bank teller. Like many a proud mother, Gertrude Temple enrolled her child in dancing classes at the age of three and promoted her vigorously. A talent scout from Educational Pictures, a small company specialising in shorts, spotted Shirley and invited her for a screen test, which led to her appearance in 1932-33 in a string of film spoofs known as Baby Burlesks. Among them were The Incomparable More Legs Sweetrick (as Marlene Dietrich), The Pie-Covered Wagon and Polly-Tix in Washington. She alternated these performances with small parts in now forgotten feature movies such as The Red-Haired Alibi (1932) and To the Last Man (1933), opposite Randolph Scott. While filming a second series of shorts for Educational under the title Frolics of Youth, she and her mother were approached by the much bigger Fox Film Corporation (later Twentieth Century-Fox) with a view to Shirley featuring in the film Stand Up and Cheer (1934). She passed the audition and was signed up for $150 a week. When the film opened, she stole the show with the song and dance routine Baby Take a Bow. Recognising her star potential, Fox swung its publicity department into action. But it did not have her under exclusive contract. Earlier in the year, the astute Mrs Temple had forged a two-picture deal with Paramount and it was that studio that initially reaped the benefit of her sudden fame. It rushed her into two pictures in 1934 to fulfil the contract — Little Miss Marker, based on a Damon Runyan story, and Now and Forever, in which she was the go-between who reunites an estranged couple played by Gary Cooper and Carole Lombard. On the strength of these pictures, Shirley’s Fox contract was renegotiated to $1,250 a week. She was cast in Bright Eyes, where she sang one of the songs indelibly associated with her, On the Good Ship Lollipop, and from then on vehicles were written especially for her. By the end of 1934, aged six, she was the eighth biggest draw in America. A year later, she was number one and held that position four years in a row, attracting more fan mail than Greta Garbo and being photographed more often than the President himself. “I class myself with Rin Tin Tin,” she volunteered brightly. She churned out pictures at a tremendous lick — sometimes five a year through the late-1930s — and the public clamoured for more. Features included, in 1935, The Little Colonel, Curly Top, a remake of Daddy Long Legs, and The Littlest Rebel, in which she told Abraham Lincoln that he was almost nice enough to be a Confederate. The 1936 clutch had Captain January, Dimples and Poor Little Rich Girl, while in 1937, the title role in an adaptation of Rudyard Kipling’s Wee Willie Winkie was changed from boy to girl especially to accommodate her. in this film led to a notorious libel suit involving the future novelist Graham Greene, then employed as a film critic by the magazine Night and Day. At a cocktail party, after what he later described as “a dangerous third Martini” Greene dreamt up the idea of deflating the Temple balloon, but he peppered his review of her performance in Wee Willie Winkie with such litigious terms as “bilious coquetry”, “dimpled depravity” and “mature suggestiveness”. The plaintiffs won; $5,250 punitive damages were awarded to Fox, $7,000 to the actress and Night and Day folded. But as a postscript to the episode, the mature Shirley Temple bore the novelist no grudge. In 1989, she sent him an inscribed copy of her autobiography, Child Star, and invited him to tea. Possibly I’m late, but this just got posted on WND.com. He died over a month ago. Richard Dawson (born Colin Lionel Emm; November 20, 1932 – June 2, 2012) was an English-born American actor and comedian, and a game show host and panelist in the United States. 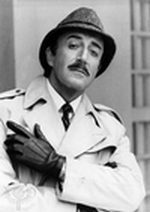 Dawson was well known for playing Corporal Peter Newkirk on Hogan’s Heroes, being the original host of the Family Feud game show from 1976–1985 and 1994–1995, and a regular panelist on the 1970s version of Match Game on CBS from 1973 to 1978. After a successful career in British television and cinema, Dawson moved to Los Angeles. In 1984, he became an American citizen while remaining a British subject. In 2012, Dawson died of complications from esophageal cancer. He is buried at Westwood Memorial Park in Los Angeles. There may be some here too young to remember this guy in his prime. Often over the top but just as often very funny as well, another icon of my yoot passes from the scene. Jonathan Winters, who has died aged 87, was a moon-faced American comedian with a remarkable gift for mimicry which he deployed in manic improvisations featuring a cast of misfit characters that ranged from delinquent old ladies to country bumpkins. He came to notice in Britain when he played the slow-witted removal lorry driver in It’s A Mad, Mad, Mad, Mad World (1963), an ensemble film with an all-star cast, mainly comedians and comic actors chosen for their verbal skills. Once defined as “more intense than Bob Hope, more restless than George Burns or Jack Benny, more fleeting than Lenny Bruce or Richard Pryor”, Winters was an energetic pioneer of impromptu standup comedy in the 1950s with an outlandish line in free-form monologues. But while he was raising laughs with his unscripted verbal flights of fancy, facial contortions and self-generated sound effects like dripping taps and rushing waterfalls, the pressure of touring led to a mental breakdown, and he was diagnosed with bipolar disorder. 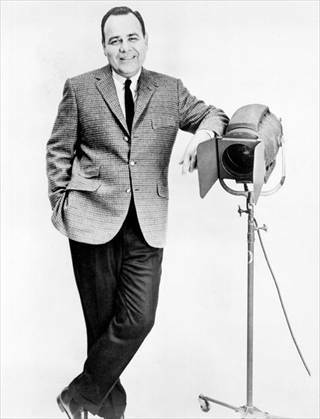 Jonathan Harshman Winters was born on November 11 1925 in Dayton, Ohio. An only child in a prosperous family, whose parents divorced when he was seven, he spent much time entertaining himself. He described his father as an alcoholic, and regarded his paternal grandfather — an eccentric extrovert as well as proprietor of the local bank — as his principal influence. At 17 Jonathan left Dayton High School, joined the Marines and served two years in the South Pacific during the Second World War. On his return he attended the Dayton Art Institute, where he developed his keen observational skills, and met and married a fellow student, Eileen Schauder. At her suggestion, he entered a talent contest and won first prize (a wristwatch) by doing impressions of film stars. This led to a job presenting the early morning show on a Dayton radio station in which he would create characters and interview them using two voices. Winters moved to New York where he soon made a reputation in stand-up comedy clubs. One night after a show, an old man sweeping up suggested that instead of mimicking the rich and famous, he should draw on people he knew. Within a couple of days, Winters had devised one of his most famous characters: a hard-drinking, dirty old woman called Maude Frickert, modelled in part on his own mother and an aunt. High-profile appearances on television specials and chat shows followed and Winters soon built a following. But his career faltered in 1959 when he succumbed to depression and drink, and he burst into tears on stage at a nightclub in San Francisco. Taken into custody by police who found him climbing the rigging of an old sailing ship, and claiming he was from outer space, Winters spent eight months in a psychiatric hospital. A turning point in his recovery was his role as the browbeaten furniture removal man Lennie Pike in the slapstick film caper It’s A Mad, Mad, Mad, Mad World. “I was fresh out of the hospital. I didn’t know if I was up to doing a picture such as this,” he recalled. But he took the part at his wife’s insistence, and “I finally opened up, I realised I was back, and I was in charge of myself and my mind”. Roles in other films followed — he played two brothers in the film adaptation of Evelyn Waugh’s The Loved One in 1964 — as did further television shows, including his own. In 1981 Winters was cast in the sitcom Mork and Mindy, teamed with Robin Williams, an admirer whose own gift for off-the-wall improvisation made him the Jonathan Winters of his generation. In later years, Winters contributed to numerous cartoons and animated films, playing three characters in the film The Adventures of Rocky and Bullwinkle in 2000. His recent work included voicing Papa Smurf in the 2011 live action film The Smurfs, and a sequel due to be released in July. Winters won two Grammys, and an Emmy for best supporting actor as Randy Quaid’s father in the American sitcom Davis Rules (1991). He was awarded the Kennedy Centre’s second Mark Twain Prize for Humour in 1999, a year after Richard Pryor. As a trained artist, he often introduced humour into his pictures and sketches. Among his books was a collection of short stories called Winters’ Tales (1987). Jonathan Winters’ wife, Eileen, died in 2009. Their two children survive him. 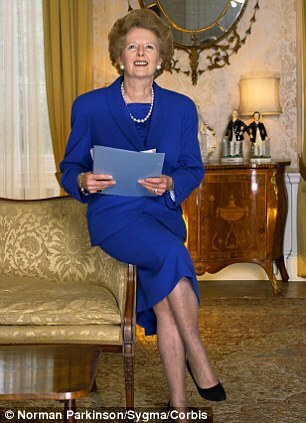 Former Conservative prime minister Margaret Thatcher died in a suite at the Ritz today after suffering a severe stroke. Britain’s first and only female political leader passed away peacefully aged 87, after battling poor health for more than a decade. After a minor operation over Christmas, Baroness Thatcher had spent the past few months recuperating at the five-star hotel in central London. The Iron Lady was given 24-hour care by nursing staff in her suite, after becoming too frail to stay in her Belgravia home. The grocer’s daughter, who became the longest serving British prime minister of the 20th century, will be honoured with a full ceremonial funeral - one step below a state funeral - at St Paul’s Cathedral next week. Not since Winston Churchill’s death has a politician been granted such a tribute. His funeral was also held there in 1965. Her spokesman Lord Bell said: ‘It is with great sadness that Mark and Carol Thatcher announced that their mother Baroness Thatcher died peacefully following a stroke this morning’. Her daughter Carol dashed from her home in the Alps to London on Sunday morning to be by her mother’s side before she died. The Queen was sad to hear of Baroness Thatcher’s death and Her Majesty will send a private message of sympathy to the family, Buckingham Palace said today. The last true Conservative has left the island. Turn out the lights and walk away, and leave the place to the savages. Revellers in Brixton staged a street party to celebrate Margaret Thatcher’s death, culminating in arrests and an attack on a local charity shop. Around 100 hundred people were out on the streets to celebrate the death of former the former prime minister, whose death from a stroke was announced on Monday. Smashed glass was strewn on the street after the window of charity shop Barnardos was kicked in during ugly scenes. Police officers trying to keep order were attacked, with extra numbers drafted in to stop revellers spilling out on to the roads and causing traffic delays. Two women were arrested on suspicion of burglary and spent the night in cells after Barnardos was targeted during celebrations. IBTimes UK reporter Ewan Palmer was at the scene. He said: “There was the notion that this morbid celebration has been planned in thousands of people’s heads for more than 30 years. “Police stood by and watched as more and more people arrived with their drink and banners mocking her death. Shouts of ‘Maggie, Maggie, Maggie! dead, dead, dead!” rang around gleefully. “Chalk was handed out so people could graffiti their own message on the ground and surrounding walls. “There were even two guys playing double bass and acoustic guitar in the crowd for a singalong. At the start of the evening, the whole thing resembled a middle-class music festival more than a raucous demo. Funny thing ... nearly all of the classless vulgar yobs pictured in the article are too young to have had any real recollection of the woman or her influence as PM at all. Come on. She stepped down in 1990, 23 years ago. Only the rarest of rare youths is even slightly politically aware by the age of 13; so almost no one under 36 knew a thing about her firsthand. And nearly everyone in the photos is under 30. Arsehats. Ding Dong The Witch is Dead is set to top the charts after a Facebook campaign in the wake of Margaret Thatcher’s passing sent Judy Garland’s hit soaring into the iTunes Top 30 download chart. Within 24 hours of the announcement that the former Conservative leader had died, the song, which features in the 1939 musical The Wizard of Oz, had rocketed to number 26. The Facebook campaign posted a link to the song and urged people to download it. The group already has more than 2,500 members. “Now﻿ get over to iTunes and make this number one ! !” one user wrote. Really? I wouldn’t bet a leftover order of fish ‘n chips that the hotel bill was paid for with family money, or if not, then from an insurance plan no different than any other PM or MP has. More toxic bilge from the hater class. People without shame, mercy, or the merest scrap of kindness or decency. And you know Obango would be out there with them if he could. Did you hear that worthless pustulant dog’s bottom dribble statement he made about her passing? “She would be a great example to my daughters of what they could achieve” or some such twaddle. Pretty much blah-blahing every positive thing the woman did as PM. You know, little things, like bring the nation back from the verge of extinction, halt runaway inflation, and help usher in an era of prosperity. But hey, ignore that. She got herself elected Top Dog, so let’s just use her as an example of glass ceiling breaking. What a sissy putz he is. Oh, excuse me ... it looks like the White House issued a statement. It’s not like Golf Boy actually got up on a podium somewhere and said something. “As prime minister, she helped restore the confidence and pride that has always been the hallmark of Britain at its best … as an unapologetic supporter of our transatlantic alliance, she knew that with strength and resolve we could win the Cold War and extend freedom’s promise,” said the president’s statement. Obama’s statement also tried to portray her successful rise from a middle-class beginning as a victory for feminism. ”As a grocer’s daughter who rose to become Britain’s first female prime minister, she stands as an example to our daughters that there is no glass ceiling that can’t be shattered,” the president said. But Thatcher, who once declared, “I owe nothing to women’s lib,” believed in a mix of traditional and post-60s attitudes, and she did not push policies that favored university-trained professional women. Can’t see the forest for the trees that his imagination insists are there. 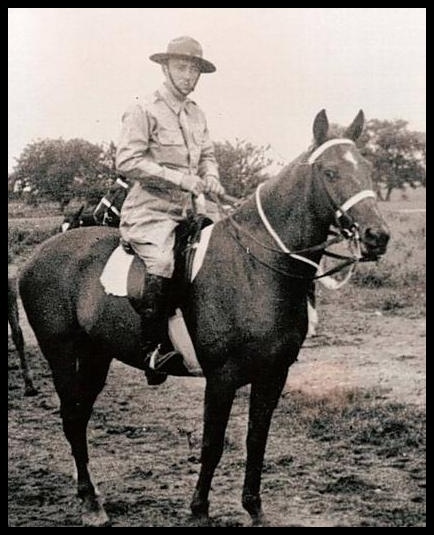 Most of us associate US Cavalry charges with Hollywood or John Wayne but the last American mounted charge was not against American Indians in the “Wild West”; it was in the equally wild Far East during the Second World War, and it was led by First Lieutenant Edwin Ramsey on 16 January 1942. He and the rest of his 27-man platoon (G Troop of 26th US Cavalry), their heads low over their horses’ necks and firing their Colt 1911 pistols (the US Cavalry had hung up its traditional sabres a decade earlier), galloped headlong into a far larger force of Japanese infantrymen in the village of Morong on the Bataan peninsula of the Philippines. Most of Ramsey’s platoon were Filipinos he had personally trained and were known as the Philippine Scouts. The surprise charge, with Ramsey on his beloved chestnut gelding Bryn Awryn, scattered the Japanese invaders, even though they were backed by tanks, and helped the allies organise their retreat from the Philippines by stalling the enemy advance. By that time Cavalry units, with their famous motto of “shock, mobility and firepower”, were already an anachronism, but Ramsey and his men proved that a small horse-mounted force could still wreak havoc on the enemy. Escaping capture during the Japanese advance, Ramsey retreated to the jungle and mountains, building a guerrilla force of Filipinos, eventually totalling 40,000 men. They harassed the enemy for the next three years while most American soldiers and their allies had retreated or been captured, many forced into the infamous Bataan Death March. The Japanese offered a reward of $200,000 for his capture (the equivalent of millions now) and capture meant certain execution. On retreating from the Philippines MacArthur had said “I shall return.” He did, famously wading ashore in October 1944, and after the Japanese surrender the following year he insisted on personally pinning the Distinguished Service Cross, the Silver Star and the Purple Heart on Ramsey for harassing the enemy for those three years, a major factor in securing an eventual allied victory in the Pacific. Ramsey, who had seen his weight drop to 93 lbs. in the jungle and had lost around 5,000 of his Filipino guerrillas, was ordered home by MacArthur. He had also had his appendix removed with a pen-knife, with rum as anaesthetic. “Give me a couple of drinks and go ahead and cut it out,” he told his pro-guerrilla doctor. He later recalled: “No anaesthetic, a little bit of rum, chewing on the nurse’s arm, and cussing. It burst in his hands as he took it out.” Ramsey’s men had been forced to kill their starving and dying horses and eat their meat, something which haunted the horse-lover Ramsey for the rest of his days. MacArthur later estimated that Ramsey’s guerrilla activity, and the intelligence he gathered, had saved tens of thousands of American and Filipino lives. His operations became a blueprint for modern-day US Special Forces and to this day, to Filipinos of a certain age, the name Ramsey is second only to MacArthur as their most-loved American. Edwin Price Ramsey was born in Carlyle, Illinois in 1917, but moved to Eldorado, Kansas when he was two and 10 years later to Wichita, Kansas, with his older sister Nadine – who flew US fighters and bombers during the war – and his mother, who ran a dermatology clinic, after his father died. While at school, he worked as a “jerk” in a soda fountain and a waiter in The Palms nightclub in Wichita to help feed his family. After the war Ramsey worked as an executive with Hughes Aircraft Corporation and returned to the Philippines as a private businessman before retiring to California. In 1948, in Manila, he married the daughter of the French ambassador there and they went on to have four children. He remained active in US Veterans’ affairs for the rest of his life and recorded his wartime exploits in the 1991 book Lieutenant Ramsey’s War. I’m looking for words again. They just won’t come to me. When I see something like this, I really believe it’s possible for the sky to fall. If ever Germany and the west needed some backbone you’d think it might be now. But no. If it weren’t for those damned mistaken fools in the 1930s, we would not be seeing this kind of thing today. Soeren Kern, writing for the Gatestone Institute in his November 16th article, “IslamNeeds a Fair Chance in Germany,” reported a significant development in Germany that portends dire consequences for that benighted nation and for all of Europe: the city of Hamburg signed a “treaty” with organizations representing its Islamic population. The “treaty” features a series of concessions, not by the Muslims to secular authority, but by the secular government of Hamburg to the Muslims. The “treaty,” which requires ratification by the city’s Parliament, grants Muslims “rights” and “privileges” enjoyed by no other religious group there. The most controversial part of the accord involves a commitment by the city government to promote the teaching of Islam in the Hamburg public school system. The agreement grants the leaders of Hamburg’s Muslim communities a determinative say in what will be taught by allowing them to develop the teaching curriculum for Islamic studies. Moreover, Muslim officials will also be able to determine who will (and who will not) be allowed to teach courses about Islam in city schools. In practice, this means that only Muslims will be allowed to teach Islam and that pupils will not be exposed to any critical perspectives about the religious, social and political ideology of Islam. 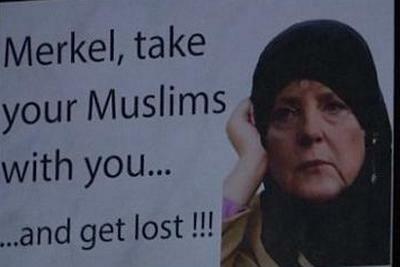 It is noteworthy that all the concessions will be paid by non-Muslim Germans as a form of jizya, or “protection” tax. Germans will not “retaliate” against Islamic aggression, for political correctness will silence them for fear of being accused of racism or bigotry. Islam, however, is first and foremost, from top to bottom, a totalitarian ideology. Its doctrine requires that Muslims and their spokesmen advocate Islam’s own kind of racism and bigotry. Islam is a nihilist ideology, as well. It is the enemy of all human values. In exchange for submission to it, it promises a paradise after death. Life on earth is merely transitory and not important. The Hamburg “treaty” is an extension of that nihilism; it requires its secular signers to aid and abet the piecemeal annihilation of their values and their culture. The Islamists know what they are doing. Their secular cosigners do not. It seems the “right” thing to do, per a Kantian categorical imperative to pursue an end regardless of, but especially because of, its selfless nature, in the name of what Mayor Scholz called “the strengthening the societal foundation” of Hamburg. Do the opponents of the treaty take a principled stand against it? No. They remain as clueless about the implications as Mayor Scholz. t is noteworthy that all non-Muslim school children attending public schools will be indoctrinated in Islam by Islamic teachers. This is necessary to forestall any future opposition to Islam’s incremental takeover of Hamburg, and then Bremen, and then all of Germany. RIP Reis Leming. first non-Briton to win the George Medal for bravery in peacetime. A brave man who had done his country proud. Reis Leming, who has died one day short of his 82nd birthday, was a 22-year-old American airman and became the hero of the hour when, despite being unable to swim, he braved storm waves and freezing temperatures to rescue 27 people during the devastating east coast floods of 1953; nine days later he became the first non-Briton to win the George Medal for bravery in peacetime. On the night of January 31 1953 hurricane- force winds, combined with a high tide, took sea levels many feet above their predicted levels. Waves were reported as high as 4.9m (16ft). Along the east coast of England 307 people died and around 24,000 homes were lost or damaged. Among the many towns affected was the Norfolk resort of Hunstanton, where waves broke through the sea defences, crashing into wooden bungalows and flooding the South Beach area of the town in seawater that, in places, was 10ft deep. Many of those trapped were families of American servicemen, living off-base in South Beach Road. By the following day 31 residents had lost their lives, including 16 Americans. “I was around the US Air Force Sculthorpe base when they told us there had been a disaster and asked for volunteers,” Leming recalled in an interview. “I had no idea what it was, but I came down with my squadron to the shore at Hunstanton. With several other airmen I tried to launch an aluminium rescue boat [but] the waves were so high we could not get out and the propellers got fouled in the debris. Exhausted, and with his exposure suit ripped and filled with icy water, at the end of his third trip Leming collapsed into the sea with severe hypothermia and had to be rescued himself and taken to the American hospital at Sculthorpe. For years afterwards he had nightmares about the first remark he heard when he awoke — “cut off his legs!” — discovering only later that they were the words of a nurse wanting to remove his rubber suit so that he could be massaged back to life. He was awarded the United States’ Soldier’s Medal for bravery, and in April 1953 he was presented with the George Medal by the British Ambassador to the United States. Reis Leming was born on November 6 1930 at Toppenish, Washington State, and did his military service in the US Air Force as an Airman 2nd Class, serving as an aerial gunner with the 67th Air Rescue Squadron based at the USAF base at Sculthorpe. After his heroism in the floods the following year, Leming returned home to the United States. But the people of Hunstanton never forgot him and when he announced his engagement to his childhood sweetheart, Mary Joan Ramsey, the town insisted on hosting the wedding. The ceremony, held in June 1953 in Hunstanton’s small Roman Catholic church, was attended by the mayor, government officials and many of those Leming had saved, while a large good-natured crowd milled around outside. The town gave the newly-weds a set of Doulton china, while local ladies pooled their rations to bake a huge three-tiered wedding cake. Returning to America, Leming eventually settled in Oregon, where he became a businessman. But he continued to keep in touch with his British friends. In 1956 he was invited to launch Mayflower II, a replica of the Pilgrim ship, that was built at Brixham in Devon. He returned to Hunstanton on several occasions. In 1993 he attended a memorial service marking the 40th anniversary of the floods, when he was invited to Sandringham to meet the Queen and Queen Mother. He returned in 2003 to mark the 50th anniversary of the disaster. Leming had been looking forward to returning to Hunstanton earlier this month for a parade to mark the 60th anniversary of the US Air Force’s 67th Air Rescue Squadron, at which a footpath “Reis Leming Way” was named in his honour. But he died on November 5 after falling and breaking his hip. This obit goes back to May of 2011. I guess I somehow missed it, but it appeared in part in a paper this weekend past as one of several chosen as among the most colourful. Well, I don’t know how colourful this is but friends, for an obituary is sure as heck is funny. It’s pretty long and I hate to cut things like this short. But I have to so please, please read all of it at the link. You know, they could easily make a movie or two movies on this man’s life. THE PINK PANTHER series could have been written for this guy. I think you’ll like him. Colonel Albert Bachmann, who has died aged 81, was Switzerland’s best-known and most paranoid spymaster, in a country that traditionally has no enemies and refrains from foreign entanglements. 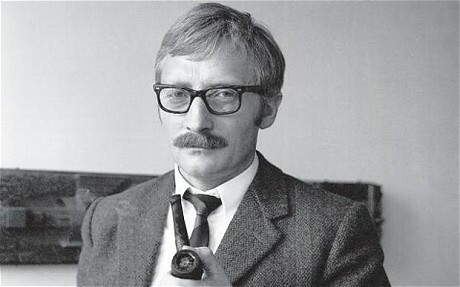 Mustachioed, pipe-smoking and blessed with an ability to wreak havoc within his own organisation, Bachmann’s resemblance to Inspector Clouseau was striking; by the time his plots and schemes were uncovered by an astonished commission of inquiry, he had reduced the Swiss military intelligence agency, in which he had mysteriously managed to rise to a senior role, to a state bordering on chaos, not to mention bankruptcy. So catastrophic was his impact that, when he was finally unmasked, many assumed he must be a double agent. He was not. His most controversial, some would say delusional, acts occurred between 1976 and 1979, when he took charge of top-secret operations for Switzerland’s military intelligence force, the Untergruppe Nachrichtendienst der Armee (UNA). Though Bachmann had flirted with communism in his student days, he was by then a fanatical Cold Warrior, and brought the zeal of the convert to the fight against the Soviet Union. His first significant move was to buy a country estate in Ireland for use by a Swiss government-in-exile in the event of a Soviet invasion. His second bold step was Projekt-26 (P-26), the creation of a clandestine army of Swiss guerrillas trained in weaponry, bombing and assassination techniques to repel the dreaded Soviet attack. The problem was that neither the Irish venture nor the secret anti-Soviet army had been officially authorised, and were the fruits of what Bachmann called his “initiative”. Others would come to call it insubordination or even fantasy. But neither plan stalled Bachmann’s rise. Indeed, his intelligence career was curtailed only after a top-level investigation into an operation he sanctioned in 1979 that deeply embarrassed Switzerland and Austria — friendly neighbours with the same neutral status and few if any military secrets to hide from one another. In November that year, Austrian troops on manoeuvres in the city of St Pölten tapped on the window of a parked car at 2.30am and were surprised to find inside not a courting couple but a Swiss management consultant called Kurt Schilling. Schilling, an expert time-and-motion man but an inept spy, was sitting in the front seat with binoculars, map and notepad, staring into the darkness. He had been ordered there, he was happy to recount, by Bachmann, his case officer. When Schilling asked the soldiers for particulars about their positions, they marched him straight to the state police. His arrest on charges of spying for information freely available to Swiss and other foreign observers at the manoeuvres was portrayed in the press as worthy of a comic opera. At his subsequent trial for espionage, it emerged that Schilling had been seeking to establish how long Austria could hold out in the event of a Soviet invasion. Taking account of the botched execution of his mission, the court leniently sentenced him to a suspended five-month term and deportation back to Switzerland. The press mocked Schilling as “the spy who came in from the Emmenthaler”, after Switzerland’s famous cheese. But it was Bachmann’s career that never recovered. In the wake of the Schilling debacle, it became clear that Bachmann and his department were out of control. His boss was forced to resign, and Bachmann himself – exposed as a loose cannon, unchecked and unregulated – was consigned to early retirement. Albert Bachmann was born in Zurich on November 26 1929, the son of a house painter, and grew up in humble circumstances. While employed as a printer, he enrolled in the youth wing of the PDA, the Swiss communist party. But in 1948, following the communist coup in Prague, he renounced his Left-wing sympathies, became staunchly pro-West and began his National Service with the Swiss grenadiers. His military career blossomed, and against expectations (he had completed only eight years at school) Bachmann successfully applied to the officer training academy, where he specialised in intelligence gathering with the Swiss military intelligence service. There, in 1968, he caused a stir as lead author of an official civil defence booklet, delivered to every household in Switzerland, with instructions on how to withstand invasion by an occupying power. In it Bachmann asserted that the gravest danger lay not just with the enemy but with the Swiss political Left, specifically pacifists and intellectuals, just the sort of people with whom he had himself mixed in the PDA. In his anti-communist booklet, with its plain red cover redolent of the Little Red Book of the Chinese Maoist era, Bachmann controversially urged Swiss citizens to spy on one another. He escaped the ensuing furore by heading to Biafra, which was seeking to secede from Nigeria. There he operated undercover as a pipe-smoking upper-crust Englishman called Henry Peel and cultivated an air of mystery, hinting at links to secret arms deals involving the Shah of Iran. On his return Bachmann was promoted to the rank of colonel in the intelligence and defence section of UNA. The post gave him authority over three units of secret military intelligence, including a special service (Spec D) set up to respond to invasion by an occupying power. Under Bachmann’s eccentric command, its remit grew extensively, and agents were trained as sharpshooters, bomb makers, codebreakers and even mountain guides who were to lead key government and administration figures to safety over the Alps in the event of an invasion. Projekt-26 was born. Meanwhile, using government funds, Bachmann bought the imposing 200-acre Liss Ard country estate near Skibbereen, in west Cork. Click the inspector below and link to the entire obit. It might make your reading day. obit for a swashbuckler, entrepreneur, adventurer. what a generation his was. Heck of a story. I’d heard of this fellow some years ago but then forgot all about him. Too many other things to be bothered about without reading about some dufus raising hell with authorities. Had there been computers when I first heard of him, I suppose I might have Goggled his story. So I saw this obit in our paper and wow. This guy was no dufus at all. Talk about derring-do. Prince Roy of Sealand, who has died aged 91, was plain Roy Bates until, on Christmas Eve 1966, he established his own micro-nation on an abandoned wartime sea fort off the Suffolk coast and declared himself head of state. A year earlier, on the nearby Knock John fortified tower in the North Sea, Bates had established Radio Essex, claiming it as Britain’s first 24-hour pirate pop station, only to see it swiftly closed down by the Labour government. After taking legal advice, Bates bought HM Fort Roughs, another derelict artillery installation, anchored to a sandbar just outside British territorial waters; but before he could revive his radio transmissions, the Marine Broadcasting (Offences) Act of 1967 outlawed the employment of British citizens by pirate stations. Embracing the ancient legal doctrine of jus gentium, Bates declared independence. Henceforth, he announced, he would be known as Prince Roy and his principality would be Sealand. He refurbished the platform, abandoned by the British military in the 1950s, and moved there with his wife and two children. It was not long, however, before his bleak windswept hulk, with its twin towers of steel-reinforced concrete spanned by a 5,920 sq ft rusting iron platform some seven miles off Felixstowe, became not only res derelicta but terra nullius — effectively disputed territory. When the rival Radio Caroline claimed the platform for itself, Bates and his crew repelled a boarding party with Molotov cocktails and warning shots. A year later, when the Royal Maritime auxiliary vessel Golden Eye passed close by, three warning shots were fired across her bow before she turned and raced for the shore. Bates was summonsed under the Firearms Act and in November 1968 appeared in the dock at Essex Assizes. Amid much legal argument, statutes dating from the 17th century were cited. Summing up, the judge at Chelmsford remarked on “this swashbuckling incident perhaps more akin to the time of Sir Francis Drake”, but decided that, since Sealand lay outside British territorial waters, the courts had no jurisdiction. As far as Bates was concerned, this was Sealand’s first de facto recognition. He claimed Sealand as the world’s smallest sovereign state, even though it was not recognised by the British government — which largely ignored it — or any foreign power. During the 1970s Bates created Sealand’s own constitution, flag (red and black with white diagonal stripe), passports, stamps, currency (the Sealand dollar, bearing his wife’s image), national anthem and motto: “E Mare Libertas” (“From the Sea, Freedom”). Bates’s unilateral declaration of statehood became his core business. A German entrepreneur, Alexander Achenbach, proposed to turn Sealand into a luxury hotel/casino, receiving in return not only citizenship but also the office of prime minister for life. But in 1978, while Bates and his wife were away from Sealand on business, Achenbach flew in a party of German and Dutch businessmen by helicopter and effectively staged a coup d’état after a row with Bates over several million Deutschmarks. Within days Bates — a wartime Army major — had retaken the platform in a dramatic predawn helicopter raid of his own. From 100ft above the sea, he rappelled down a rope to the tiny helipad below. His son, Michael, did likewise. The Germans later confessed to being taken aback on encountering, in combat gear, an Englishman they had only known to wear a natty Savile Row suit and bowler hat. In the melee, Bates brandished a rifle, but Michael was captured and held hostage in the galley before being flown to the Netherlands, where he was released after four days. In turn, Achenbach’s lawyer, Gernot Pütz, a Sealand passport holder, was seized, hustled into a tender and charged with treason. Bates — by the “powers” vested in him as Prince Roy — solemnly sentenced him to life on the platform. Seven weeks later, with Britain adhering to its stated position — it disclaimed jurisdiction outside her territorial waters — Germany finally sent a diplomat from its London embassy to Sealand to secure the release of its citizen. Exercising his princely prerogative of clemency, Prince Roy immediately granted Pütz a pardon, reasoning that the German diplomatic mission to his windswept eyrie constituted a second de facto recognition of Sealand’s independence. During the Second World War he became an infantry major in the First Battalion Royal Fusiliers City of London Regiment. He served in the 8th India Division, seeing action in Africa, Italy, Iraq, Syria and elsewhere. Taken prisoner when his aircraft crashed on the island of Rhodes, he tried to escape but was captured by Greek Fascists . He was rescued from a firing squad by a passing German officer. In Italy Bates took part in the battle of Monte Cassino . Wounded several times, Bates survived malaria, sandfly fever, frostbite and snakebite. When a German stick grenade exploded, smashing his jaw and showering shrapnel in his face, he was told by an Army surgeon that he would never find a wife as he would be so badly disfigured. But as his wounds healed, Bates met Joan Collins, a former beauty queen from Essex, at a dance, and within three months they had married. 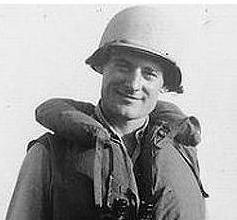 Lieutenant-Commander Joe Vaghi, who has died aged 92, was – at 23 – the youngest beachmaster at Omaha Beach on D-Day. At 0735 on June 6 Vaghi landed on Easy Red section of Omaha, the easternmost American beach of the Normandy landings, abutting the British landings on Gold beach. As Vaghi reached the end of the ramp on his landing craft, he saw the man before him shot and fall dead into the water. Undeterred he strode on “as if he was running out on a field with a football under his arm”. Vaghi was one of the elite corps of beachmasters: naval officers who patrolled between the water’s edge and first contact with the enemy, responsible for directing men and vehicles on to and off the beaches. While performing this crucial role they held command over everyone of whatever rank or Service. In the US Navy beachmasters were known as “traffic cops in hell” and said to hold a rank “just above God”. On D-Day Vaghi established radio contact with landing craft still offshore, drove a stranded bulldozer to a safe location, and comforted an unknown dying soldier. Survivors remember him calmly walking along the beach issuing orders through a megaphone. At one point, an Army officer asked him to give the order to “Move forward!” and as he did so he watched soldiers half-buried in the sand rise from their prone positions and charge 50 yards across the heavily mined beach towards a steep cliff. Midway through the hectic morning, as Vaghi helped to move the dead, whose bodies were being bulldozed out of the way of new, incoming troops, the explosion of a shell knocked him out. As he came round he found his clothes ablaze, but after dousing the flames, and ignoring an injury to his knee, he unloaded fuel canisters and ammunition from a burning jeep, saving the lives of several other wounded men who lay around him. Very little went as planned on Omaha Beach on D-Day: many landing craft missed the beach, the Germans were well dug-in, and casualties were numerous. By the end of the day only two small isolated footholds had been gained; that the Americans had got so far was due greatly to the leadership of men like Vaghi. Three of the nine beachmasters on Omaha were among more than 4,000 Allied casualties there on D-Day.